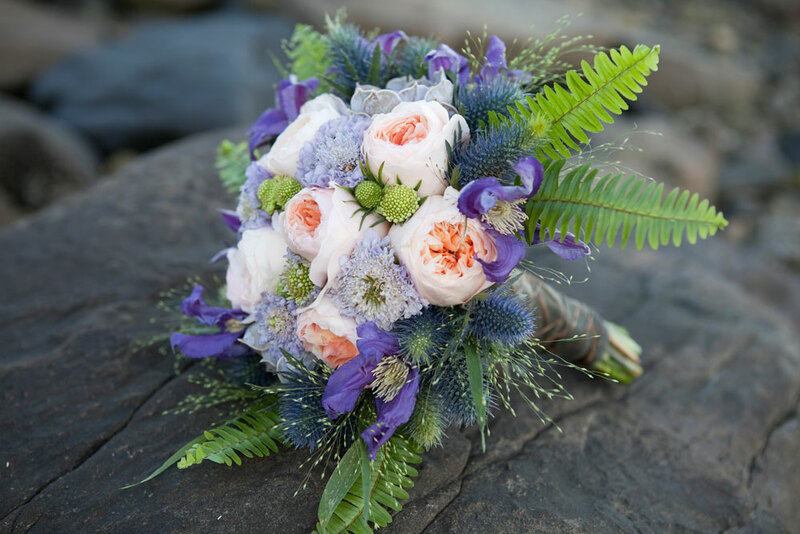 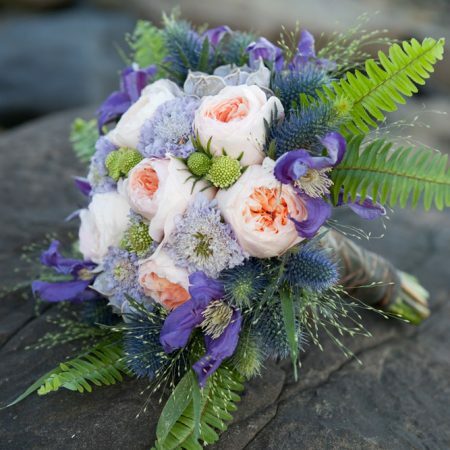 If you’re adventurous enough to elope, think about carrying a garden variety bouquet like this one from Flou(-e)r. Wrapped in gray muslin with a wired raffia overlay, this bouquet includes purple clematis, blue thistle, feather fern, explosion frost grass, gray succulents, David Austin English garden roses in peach, and lavender scabiosia. 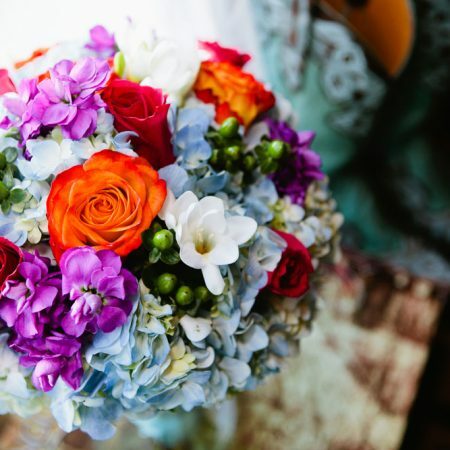 Photographed at the Aldrich Mansion in Warwick, RI by Amber Jane Barricman. 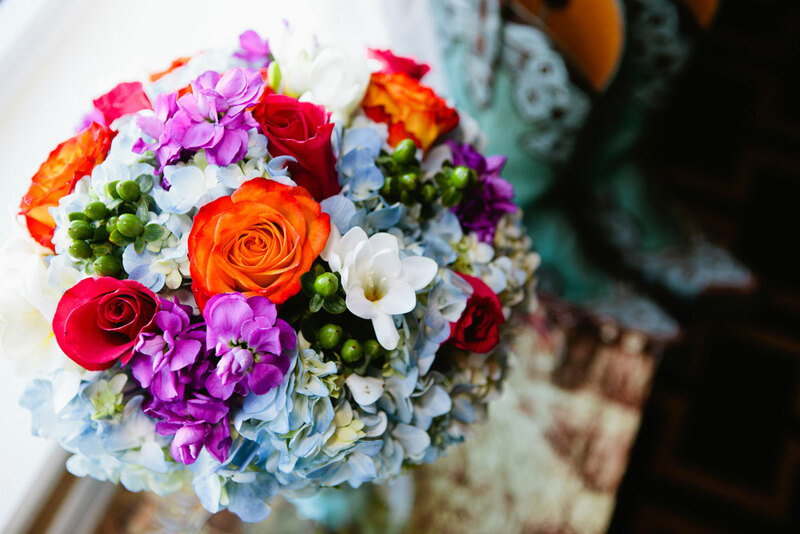 Eschewing seasonal wintry colors, the couple used rich, vibrant shades to echo the sense of warmth shared by their family and friends on the big day. 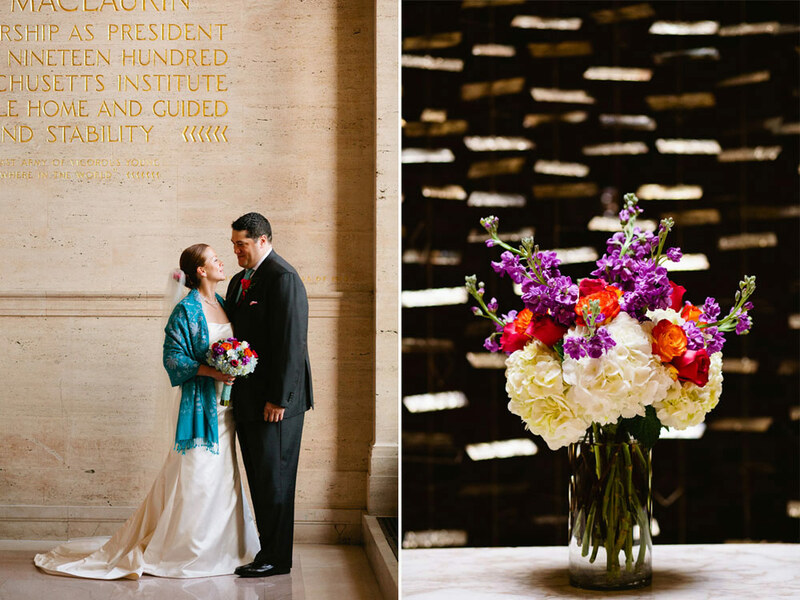 Bright flowers by Flou(-e)r in the bridal bouquet and on the reception tables at MIT’s Morse Hall set the tone for a fun evening. 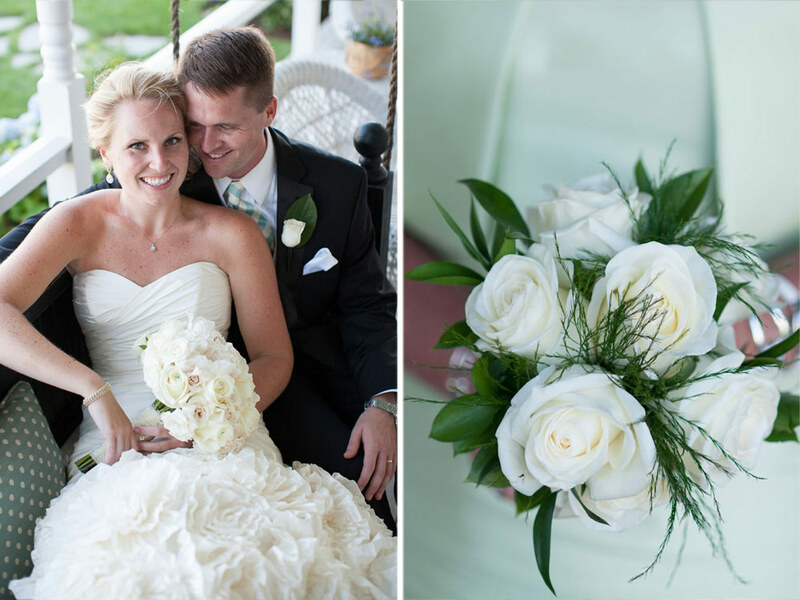 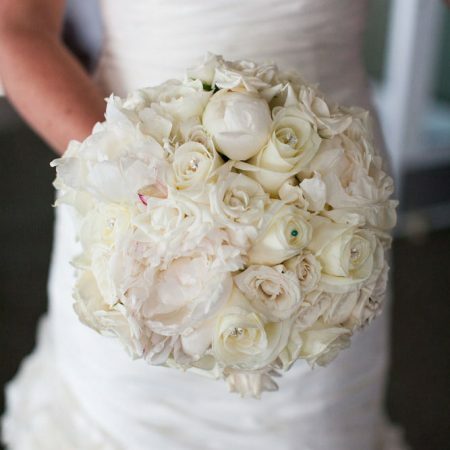 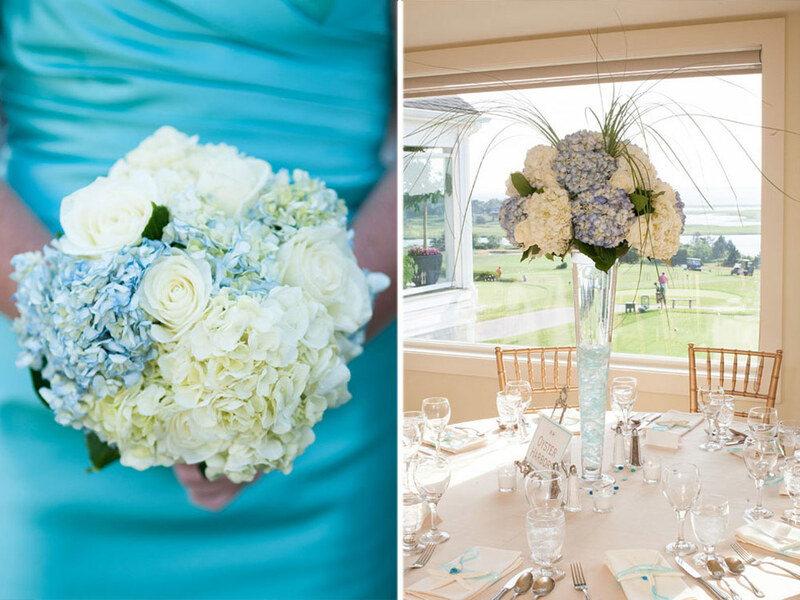 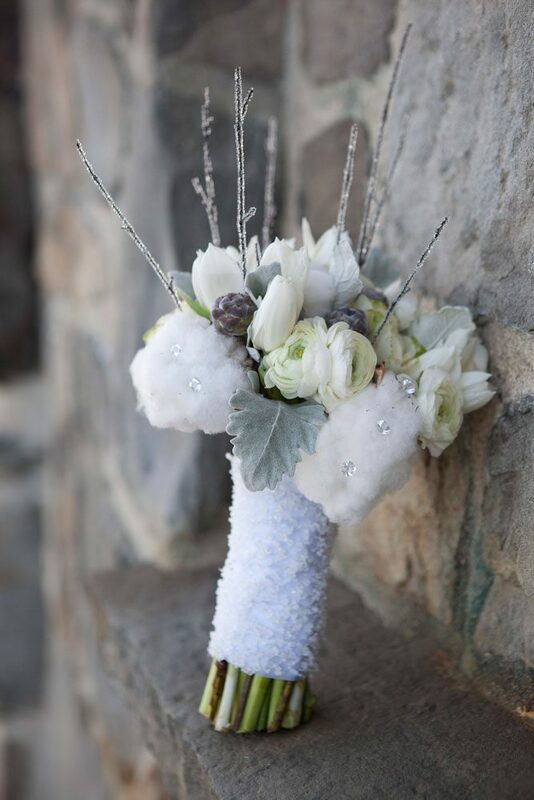 We love a winter wedding and this bouquet by Flou(-e)r is as cool as they come. 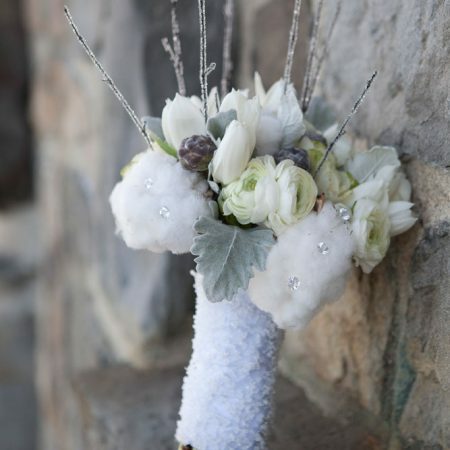 Elements include cotton, white ranunculus, mini pinecones, dusty miller, mini white cabbage, white anemones, white tulips and iced birch branches. 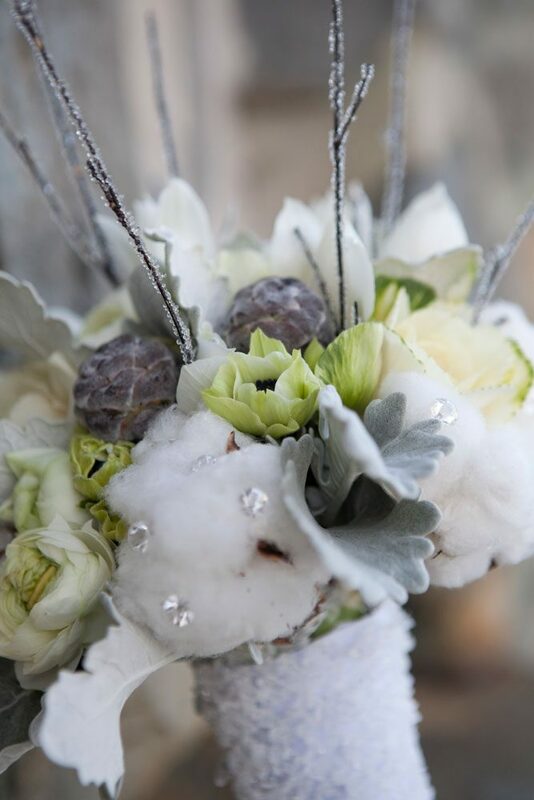 the wrap is made with a satin underlay and crystal overlay for some added holiday sparkle.